Tomi Teppo, Derek McKay-Bukowski, and I have been working on the 16-channel USRP N210 system that I put together before I left _. 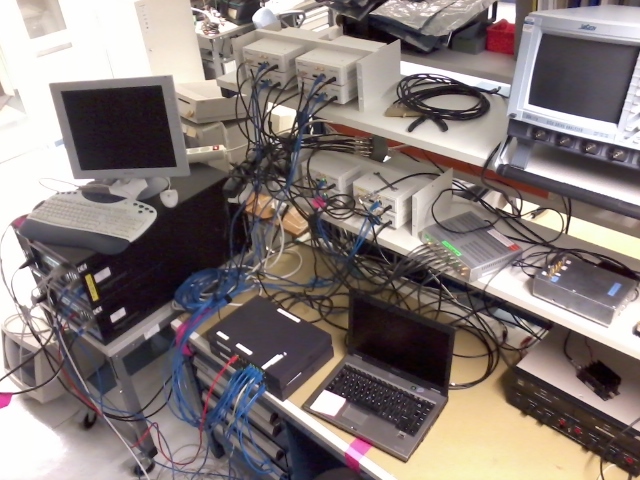 In anticipation of using this with a phased array antenna array in Kiruna, the setup needed to be modified in a way that all USRPs communicate via a switch, as the field site only has one fibre optic cable going into the building. A few days ago, we completed the setup and verified that we can do get 16 channels through a switch. This was not possible just a little while ago, so the firmware has definitely improved. Before all the channels were directly connected to the computer. Hurray! 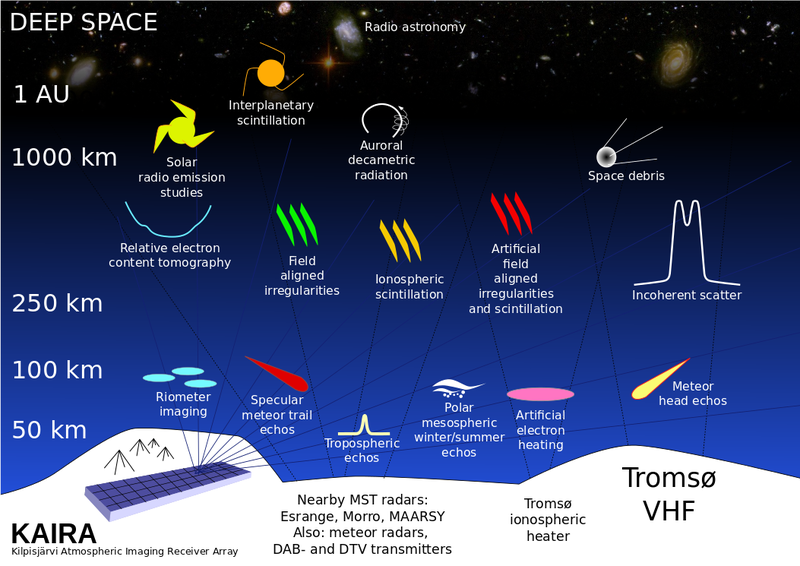 This system will have many cool uses with eg., riometry, or HF radar imaging. 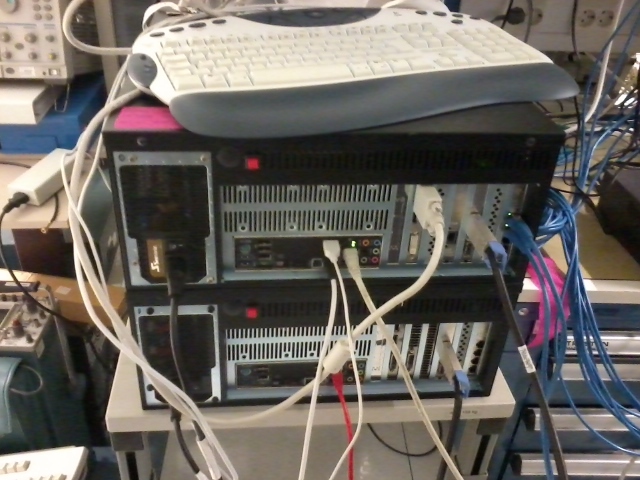 16 channel USRP N210 setup. 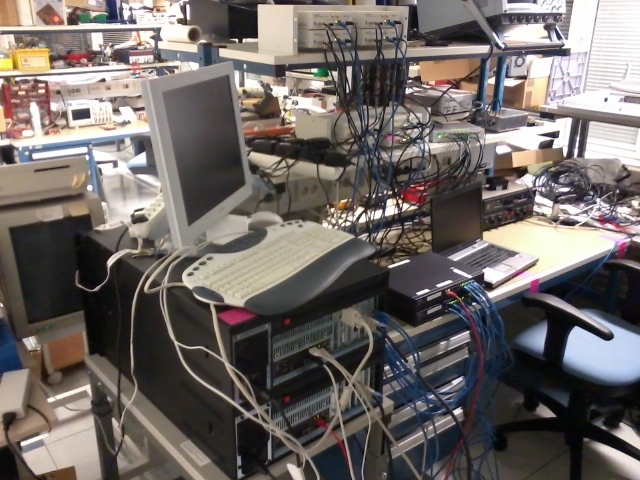 8 USRPs going one switch, which has one 1 Gbit line going to the computer. I don't know what the upper switch is for though (maybe testing). All the equipment. Everything is still a bit tangled. Two computers. More computers can be added if we need more bandwidth or computational capacity. Hi Vierinen, I am Sumit from India. I am working on SDR. I was this blog,quite interesting and informative. I need some advice and help. 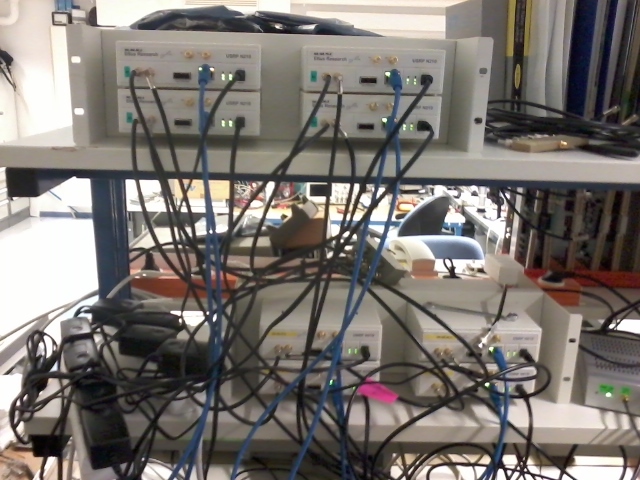 I see that you are using multi-channel USRP for your phased array. All the N210 are connected to a Gigabit switch. I also see that your all N210 are synchronized from a master clock and pps source. I have never worked with external clock synchronization and hence quite skeptical about it. 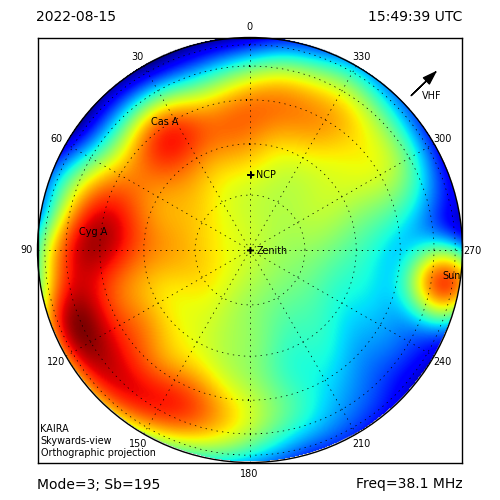 I am planning to but an Octoclock-G from Ettus for establishing MIMO with my N210. I have a list of queries from you. 1. Could you suggest if there are other options(cheaper) than Octoclock-G. I see that you are not using Octoclock-G. Is your clock GPS syncd ? 2. Once you get and external clock, to synchronize the N210's, is just a matter of connecting clock and pps through the cables to N210 and that's it ! OR do we need to several other settings. 3. 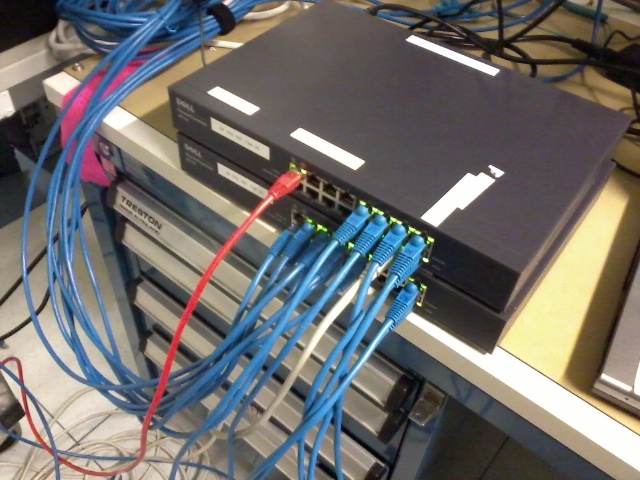 Similarly to get all N210 connected to Gigabit switch, we just need to put the Gig-E cable in between N210 and the switch? And then we can access the data to our server? I will really appreciate the help.